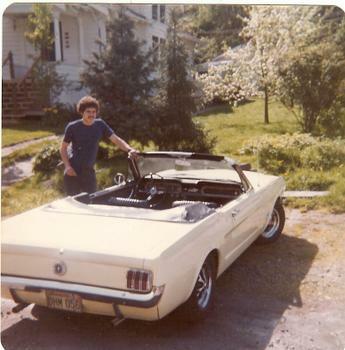 This was my daily driver back in 1976-78, High Performance 289 with tri-power, Aluminum T-10 4 speed, 3.89 Equal-lok limited slip. I did most of Shelby's modifications,lowered the suspension and thick sway bars front and rear. Completing the handling was a set of really sticky Semperit radials. 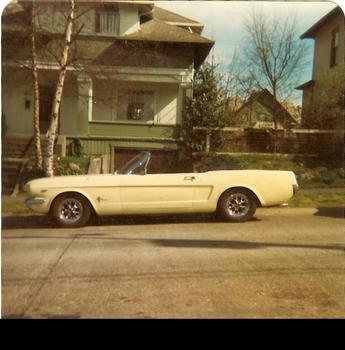 This car didn't look like much but it surprised alot of Corvettes and a certain Sunbeam Tiger rat racing around Seattle. 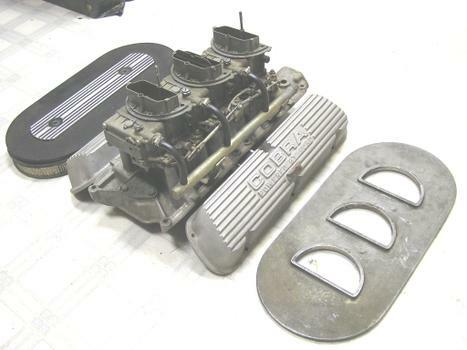 Late in 1978 I sold the Convertible to get a down payment for a house, a move I don't regret, I removed the Tri-power and the original early Cobra Valve covers and kept them for a future project. 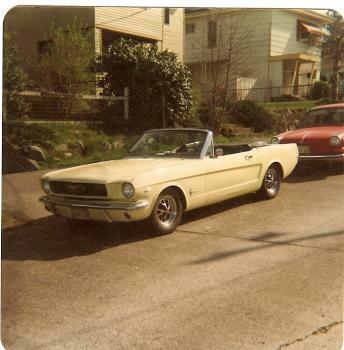 My first car was a 66 Ford Falcon with the same color scheme as this; yellow w/ black vinyl top; a hardtop w/ a 289 also; ran great! There was a guy who'd bored out his 289 to a 302; looked just like mine, but could blow the doors on any & all!